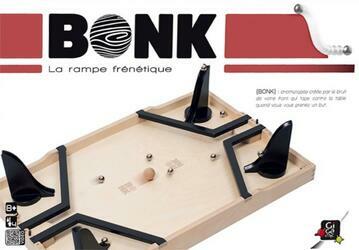 Immediate play fun with Bonk: Throw a ball on your ramp and aim just to bring the wooden ball into the opponent's goal. The fools of the trigger and clumsy will soon be penalized! A wooden game that will proudly stand in your living room to decide in 5 minutes who will do the dishes! BONK is played in 2 teams of 2. The players who form a team are placed on the same side of the board, each one will control a ramp. 1. At the beginning of every game and every point, the players start by clapping their hands and shouting BONK! (Each player taps in the hand of his neighbor left and right). The hands of the players must be empty, it is forbidden to hide a ball in his hand. 2. Players then throw a ball in their ramp while trying to push the wooden ball into the opposing goal. 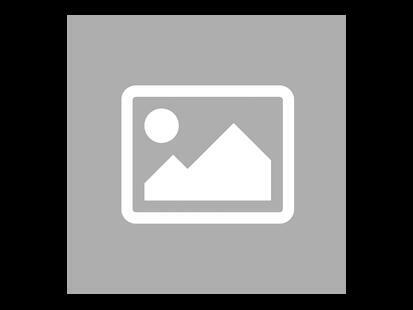 As long as the wooden ball has not reached a goal, players can throw other balls that are in the area of ​​their ramp bounded by a wooden ruler. Teammates can give themselves balls or take a ball directly into their partner's ramp area. 3. When a team has scored a point, ie the ball has hit the bottom of the opponent's goal, the team that scored must move their scoring marker on the track (still from left to right) and replace the wooden ball on its starting position. The teammates can then redistribute the balls between them. If one team has no more balls, the other team must give them one and only one ball. A new round begins by clapping in the hands as at the beginning of the game. The first team that scores 5 points wins.